CBS has delighted fans with a new trailer for the upcoming TV series, including a new superhero adaptation following the success of Arrow and Flash. Now it's time for a female lead to take the spotlight and there is no other girl who can own that spot than Supergirl. Glee alumni are taking the center stage as Melissa Benoist, once a member of New Directions glee club, will take on the lead and titular character. And could you ever forget Grant Gustin, who once rubbed elbows with Benoist on the same set, and now is the lead of Flash, which is nearing its first season finale. Check out the new trailer of the Supergirl TV series. It's not a bird. It's not a plane. It's not a man. It's Supergirl. 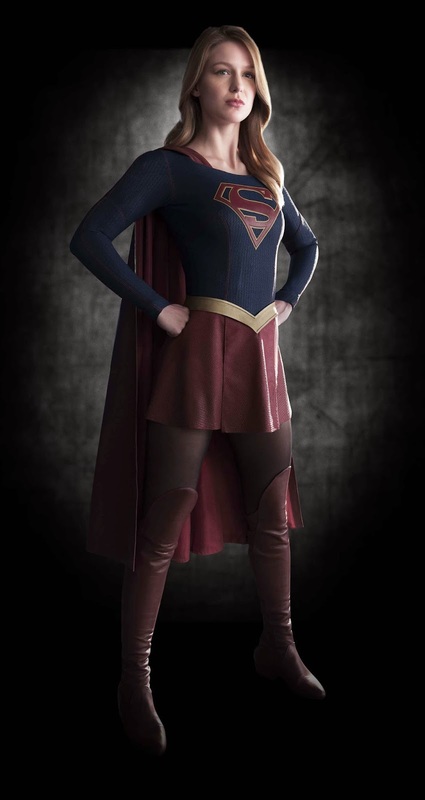 Supergirl is an action-adventure drama based on the DC Comics character Kara Zor-El (Melissa Benoist), Superman’s (Kal-El) cousin who, after 12 years of keeping her powers a secret on Earth, decides to finally embrace her superhuman abilities and be the hero she was always meant to be. Twelve-year-old Kara escaped the doomed planet Krypton with her parents’ help at the same time as the infant Kal-El. Protected and raised on Earth by her foster family, the Danvers, Kara grew up in the shadow of her foster sister, Alex (Chyler Leigh), and learned to conceal the phenomenal powers she shares with her famous cousin in order to keep her identity a secret. Years later at 24, Kara lives in National City assisting media mogul and fierce taskmaster Cat Grant (Golden Globe Award winner Calista Flockhart), who just hired the Daily Planet’s former photographer, James Olsen (Mehcad Brooks), as her new art director. However, Kara’s days of keeping her talents a secret are over when Hank Henshaw (David Harewood), head of a super-secret agency where her sister also works, enlists her to help them protect the citizens of National City from sinister threats. Though Kara will need to find a way to manage her newfound empowerment with her very human relationships, her heart soars as she takes to the skies as Supergirl to fight crime. Greg Berlanti (“The Flash,” “Arrow”), Ali Adler, Sarah Schecter and Andrew Kreisberg are executive producers for Berlanti Productions in association with Warner Bros. Television. The pilot was directed by Glen Winter (“Arrow”). Supergirl will premiere in November and will air every Monday at 8PM, only on CBS.